Technique: This is a cleansing pranyama practice. Before we start, just know that if you’re pregnant or have high blood pressure, you might want to skip this one and try a more gentle breathing exercise. This one will make you feel light headed if you don’t practice it regularly, and we don’t want anyone passing out! There are a lot of alleged health benefits of this particular breathing exercise, most notably – pain relief. So if you suffer chronic pain, try it. It also exercises the abdominal muscles and helps strengthen the core. As usual, it will also oxygenate the blood and make you feel energized. Who said meditation wasn’t good for you? To do it: Sit straight and lengthen through the spine. Next, breath in for five counts. Then exhale five counts while pulling in the abdomen. Basically, you’re using the diaphragm and abdominal muscles to exhale. For the next breath, shorten it to 4 counts. Then 3. I’ve found 3 counts is a good rapid breath speed for me. I don’t think you’d want to go shorter. The breath should be quick and loud. 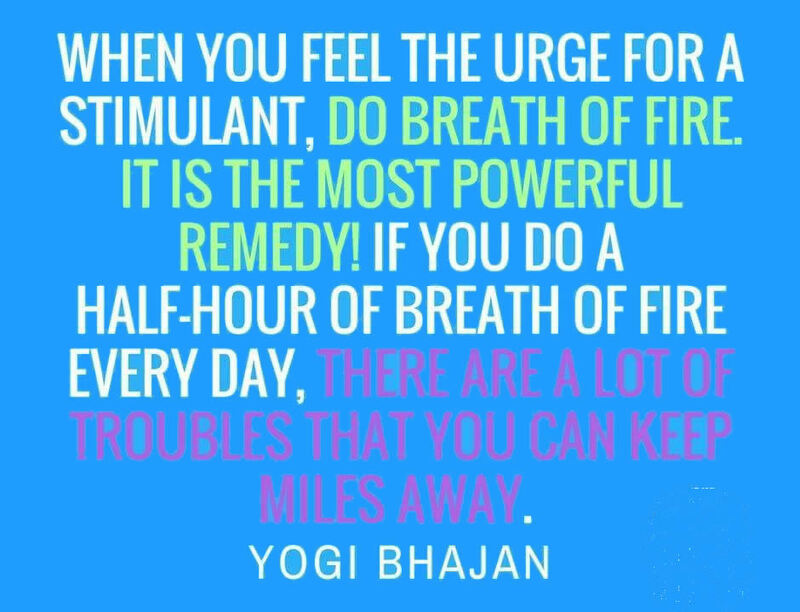 Focus on making sure the inhale and exhale are the same length! Only do this 5 times. You can slowly work up to a point where you can do this for a half hour at a time, but I don’t recommend it right off. I do about 3-5 minutes of it and I’m good. My Meditation: I will spend the first 15 minutes in gentle, focused stretching. Then I will get comfortable and do 6 sets of 30 seconds of Fire Breath. I will spend the final 15 minutes in quiet reflection and breathing focus. Meditation Resources: Here is an instructional video (done by someone else) for Breath of Fire. Thoughts: I always enjoy my pranayama practice, as I often mention. Incorporating various breathing exercises into your meditation keeps it from going stale! That’s kind of what this month is all about for me. Making sure my regular practice doesn’t get boring. I am loving the variety this month, and I’m starting my days energized and feeling confident. How are you doing? This entry was posted in meditations, Spirituality, the writing life and tagged breathing, Meditations, pranayama, yoga by Steph. Bookmark the permalink.